Get out of the cold and into the sun at Naples, Florida! Escape the cold and make your way to where the sun is warm. Visit Florida and let the warm temperatures, beaches and fun melt away the cold from back home. Be a snowbird this winter and head to Red Roof PLUS+ Naples with sunshine ahead. Vanderbilt Beach, Lowdermilk Beach, Clam Pass Beach, Lely Barefoot Beach, and more, are all between 2-15 miles from Red Roof Inn Plus+ and Suites Naples. Having a relaxing and fun day in the sun is only a quick drive away. Only 2.3 miles away, the historic Naples Pier is a perfect spot for sightseeing and fishing. With a concession stand, beach supplies, a beautiful beach and volleyball nets, it’s the perfect place to catch a spectacular Naples sunset. Naples is home to lots of great shopping and there are a wide range of stores. Waterside Shops and 5th Avenue South, just to name a couple, are big and beautiful shopping outlets that also have food and entertainment. Naples Botanical Garden is creating a world class paradise that combines delightful cultivated tropical gardens with beautifully restored natural habitats. And it’s only 3 miles away! Visit the Naples Zoo to experience the nature of the tropics and all its beauty. Exotic animals and vivacious plants are plentiful in the tropics and they are all on display at the Naples Zoo! Pure Naples Water Adventures, Southwest Florida’s newest and most exiting attraction is only 1 mile away! Dolphin watching, sunset cruises, fishing charters, jetboat tours, jetski and boat rentals, Pure Naples has something for everyone. Don’t miss the #1 nature attraction in Naples. The Corkscrew Swamp Sanctuary, is a 13,000 acre Preserve and is home to the largest remaining stand of old growth bald cypress in North America. A 2.25 mile boardwalk trail is open to the public daily. Great food is right around the corner. I-HOP (adjacent), Castaways, Olive Garden (1 block), The Waterfront Cafe (2 blocks), Little Italy (3 blocks), Bonefish Grill (0.2 mi), Joes Crab Shack, Tin City Marina Market (0.5 mi), Roys, Shane’s Cabana Bar, Stoney’s Steakhouse, Tavern on the Bay (1 mi), 5th Avenue Restaurants, Five Guys (1.5 mi) and Cheesecake Factory (3.1 mi). We offer an outdoor pool and hot tub, a gazebo, flat screen TVs, an on-site restaurant and a picnic area with grills. Enjoy the warmth of friends and family around our newly installed outdoor fire feature. The new rooms at this 100% Smoke Free inn feature a boutique design with new furniture, spa-like bathrooms, new Rest Suite beds by Serta, plush high-end bedding, modern design flooring, new seating, and a large flat-screen TV. 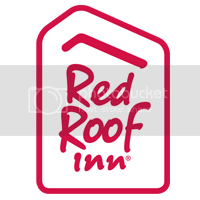 Make sure to get the most out of your travel experience by staying at the affordable and pet-friendly Red Roof PLUS+ & Suites Naples, FL! Book now!